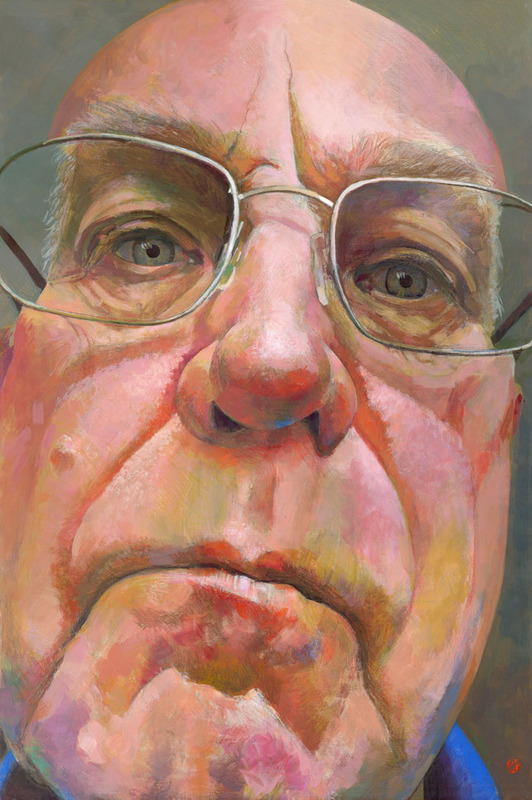 This large self-portrait was completed in August 2011 and entered into the Ruth Borchard Self-Portrait Competition at the Kings Place Gallery in London. I was lucky enough to be selected to hang in the Exhibition but unfortunately didn't win or have my painting purchased. It was a terrific exhibition, showing 178 paintings by artists from throughout the UK with many wonderful and varied pieces to admire. For more details see my News Pages - "Huge self-portrait entered in competition"